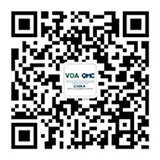 The VDA QMC China has a large network in the automotive related industry and services. We provide members with a unique platform focusing on Quality Management, project management and process improvement where members may meet partners, automotive experts and customers. The target is to exchange experiences, to promote quality thinking and understanding in China, contribute input to automotive workgroups in Germany from a Chinese perspective. Members have opportunity to take part in membership activities organized by VDA QMC China (e.g. Regional Conferences). Through the VDA QMC China Newsletter, get the updated quality news from China and Germany. Get a VDA QMC China membership certificate with your company name. Members have a chance to apply for a membership in QMA China Committee (VDA QMC China Q-Leader Steering Committee). Membership is granted for a period of one year upon payment of an annual fee. The day of the payment of membership fees is referred to the beginning of annual membership. VDA QMC annual membership fees are non-refundable. The Membership is not transferable. Annual membership fee is 12,720 RMB (incl. 6% VAT) or 2,120 USD. 5-year membership fee is 50,880 RMB (incl. 6% VAT) or 8,480 USD.